Are you a brand needing to fully outsource your selling on Amazon or other online platforms? Are you a business owner or brand executive looking for some great information and training so you can take it and run with it in-house? Are you not sure, or do you fall somewhere in between? Whatever the case, we can help you increase sales of your products and make more money online! Maybe you know that Amazon is too much work for your brand to manage and that you need to outsource your Amazon management to a trusted partner. Maybe you recognize that it makes way more sense to let a specialist grow your Amazon sales, rather than fumbling around yourself and losing piles of money in missed potential sales each month. Whatever the case, we understand. Click here to apply to become a client. Does your brand manage its own Amazon presence, but you need help with one or more of the following? This is the world we live in, and we can help! To request our services, click here. Hire me for phone consultations on an hourly basis. The cost is $250 per hour, billed in 15-minute increments, with a minimum of one hour billed. Hire me for an all-day, one-on-one mastermind meeting. This is an 8-hour intensive consulting session at the location of your choice. Cost is $2,000 per day if done at my location, or $2,500 per day, plus travel expenses, if done at your location. To request consulting services, send a message through our contact form. My podcast – Subscribe for free to receive great teaching, tips, and motivation delivered to you each week! 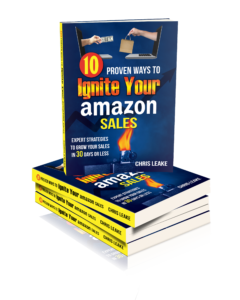 My book 10 Proven Ways to Ignite Your Amazon Sales – Purchase the playbook we use in our own business to grow our sales on Amazon! If you’re not sure which of the above solutions will best fit your company, I recommend you start with the Amazon Power Profit Review™. This is a thorough, 54-point customized review of your brand’s current Amazon presence and the 5 most important steps you can take right away to increase your sales and improve your brand’s presence on Amazon. The Amazon Power Profit Review™ includes a 45-minute phone consultation to go over the results of your review, and it also includes a free copy of my book 10 Proven Ways to Ignite Your Amazon Sales. Based on the results of your review, you can decide whether it makes more sense to keep your Amazon sales and marketing in-house or to outsource it. I guarantee you’ll receive actionable steps you can use to grow your sales, as well as a guide for doing it (my book that is included for free). If I can’t clearly show you how to increase your Amazon sales, you get all your money back. 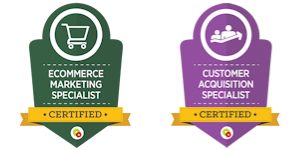 Furthermore, if you decide after your review to hire us to manage your Amazon selling, the price you paid for your review will be applied toward the services you hire us for.